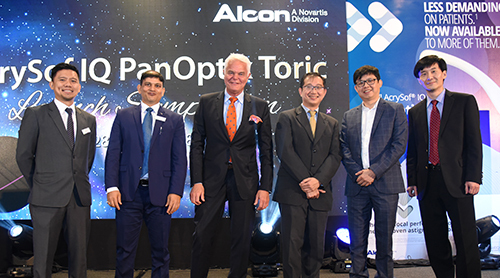 I was honoured to be invited to the AcrySof IQ PanOptix Toric Launch Symposium in Malaysia held on 28th April, 2018. 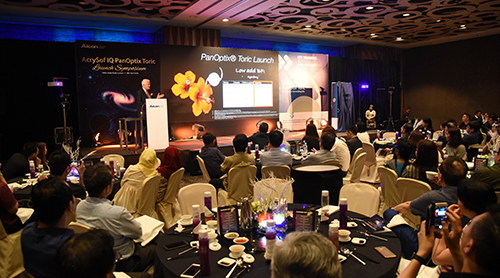 The event was attended by over 100 ophthalmologists. The AcrySof IQ PanOptix Toric presbyopia- and astigmatism-correcting intraocular lens (IOL) is used for patients with pre-existing corneal astigmatism undergoing cataract surgery, who seek to address their near, intermediate and distance vision needs and to achieve increased spectacle independence. 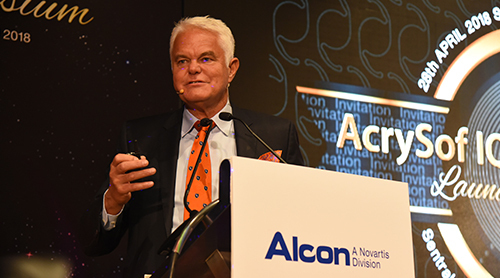 I have been performing cataract eye surgery using this exciting technology on older patients for a couple years here in Australia and it was a pleasure to present on the topic and to share my considerable experience. Thank you to my fellow surgeons for inviting me to participate in such valuable discussions. This entry was posted	on Monday, May 14th, 2018 at 11:47 am	and is filed under In the News. You can follow any responses to this entry through the RSS 2.0 feed. Both comments and pings are currently closed.